When the New Orleans Saints arrived at Paul Brown Stadium in Cincinnati, Ohio yesterday afternoon, many analysts and observers were warning of a letdown or the possibility of a potential trap game for the Black and Gold. But after the Saints took the opening kickoff and drove 75 yards in 15 plays while eating up nearly nine minutes worth of game clock, those prognostications for a likely New Orleans setback were quickly rendered inaccurate. The Saints not only beat the Bengals, they absolutely destroyed them in every sense of the word; as New Orleans easily cruised to their 8th consecutive win in what was their largest margin of victory this season. The final score: 51-14. Yesterday’s win now also means the (8-1) Saints lead in the NFC South Division over the (6-3) Carolina Panthers by two games, as the Panthers lost to the Pittsburgh Steelers this past Thursday. New Orleans remained a half-game behind in the race for the #1 Playoff seed in the NFC to the (9-1) Los Angeles Rams, who won yesterday at home against Seattle. But the Saints have beaten the Rams head-to-head and own the tie-breaker over them, with seven games still left to play. Pretty much everything that the Saints did on offense worked to perfection. Sean Payton’s brilliant game plan allowed the Saints to score touchdowns on all five of their possessions in the first half alone. 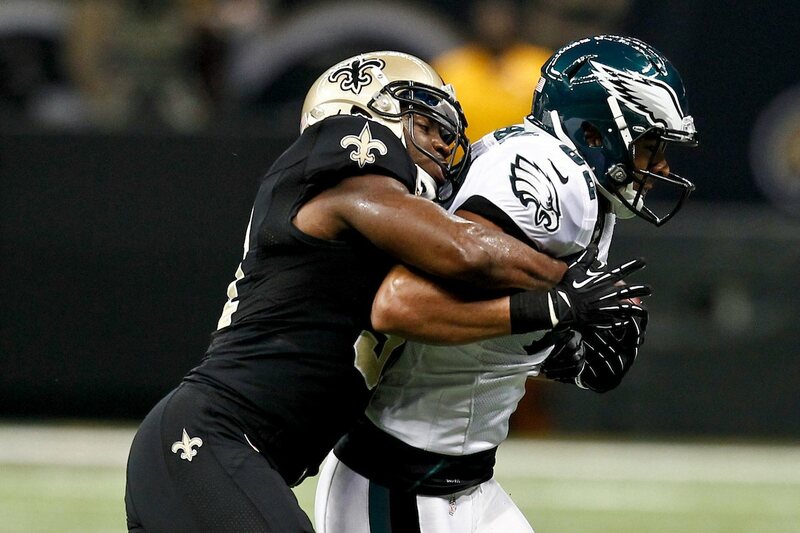 In all, New Orleans gained 311 yards in the first half alone, along with a whopping 21 first downs. Additionally, they managed to convert all six of their third down opportunities. It was a stellar day stats-wise for nearly every single one of the Saints’ skill-position players, as well. Saints quarterback Drew Brees was 22-out-of-26 passing for 265 yards with four total touchdowns (three passing, one rushing) and a 147.6 passer rating. Meanwhile, the superstar running back duo of Mark Ingram and Alvin Kamara were nearly unstoppable; both players had what may have been their best individual performances of the season up to this point. Ingram led the way with 104 rushing yards, 58 receiving yards and a touchdown, while Kamara tallied 56 rushing yards, 46 receiving yards and two touchdowns. And then, of course, there was yet another top-notch performance by 3rd year Saints wide receiver Michael Thomas, who had eight catches for 70 yards and two touchdowns. Most of those numbers by the offense were put up in the first half, in which the Saints rolled out to an insurmountable 35-7 lead. Amazingly, New Orleans actually scored 28 points in the second quarter alone. Not to be overlooked, the Saints defense had a solid day themselves. They notched four sacks of Bengals quarterback Andy Dalton, intercepted him twice, and allowed zero 3rd down conversions. As it turned out, many of the team’s players seemed to be inspired by their new teammate, former Dallas Cowboys All-Pro wide receiver Dez Bryant, who signed with the team Wednesday after agreeing to a one-year contract. The former Oklahoma State University All-American was placed on injured reserve Saturday after he tore his Achilles tendon in practice this past Friday, ending his 2018 season before it even began. As reported by ESPN’s Adam Schefter: Bryant faces a “tough rehabilitation,” but the Saints are open-minded about a possible Bryant return next season. 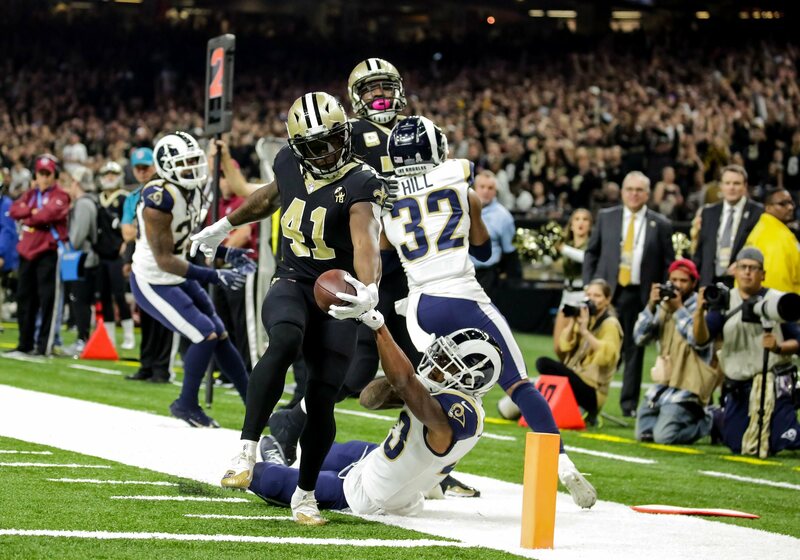 Bryant’s presence seemed to strike a chord with several of the team’s younger players; and Ingram, Kamara, and Thomas each celebrated touchdowns by “throwing up the X” (Bryant’s trademark celebration) as he used to. A handful of Saints defensive players also made the gesture after a 4th quarter interception by 2nd-year safety Marcus Williams. If there was any one “negative” that the Saints could take away from yesterday’s dominant performance, it would be the shoulder injury suffered by starting offensive left tackle Terron Armstead in the 3rd Quarter. The severity of his injury isn’t known at the moment, and the team likely will update his status sometime later today (Monday). Clearly, if yesterday’s beatdown of an AFC playoff contender at their own home stadium wasn’t evidence enough that New Orleans has suddenly emerged as the NFL’s best team, then perhaps nothing else will. The Saints have not only won eight straight games; they have also beaten the League’s previously lone undefeated team (the Rams) and are undefeated themselves (5-0) on the road this year. That bodes well for New Orleans assuming that they do make the playoffs (which seems like a foregone conclusion right now), should they have to play any of their probable post-season match-ups, away from the comfortable and cozy confines of the Mercedes-Benz Superdome. Make no mistake about it: the Rams will be a formidable foe should the Saints have to face them again, but it’s indisputable that New Orleans has now firmly established themselves as the NFC’s team to beat. If the Saints earn home-field advantage as the conference’s #1 seed and force teams to have to play in the Dome, it will be extremely tough for any team to come here and beat them in a playoff game. That doesn’t necessarily make the Saints “unbeatable” in the post-season per se, but it’s pretty hard to envision who might be the team that will knock them off. Certainly, the Rams would have a chance; and then of course there’s still the formality of having to face the NFC South Division rival Carolina Panthers, who New Orleans will play twice in their final three games of the season. The Minnesota Vikings and the Philadelphia Eagles — whom the Saints will play next Sunday at the Superdome — should be in the mix as well. But for now at least, the Saints are by far and away the NFL’s leading Super Bowl favorite. With eight straight wins and counting, New Orleans appears to be completely unstoppable. 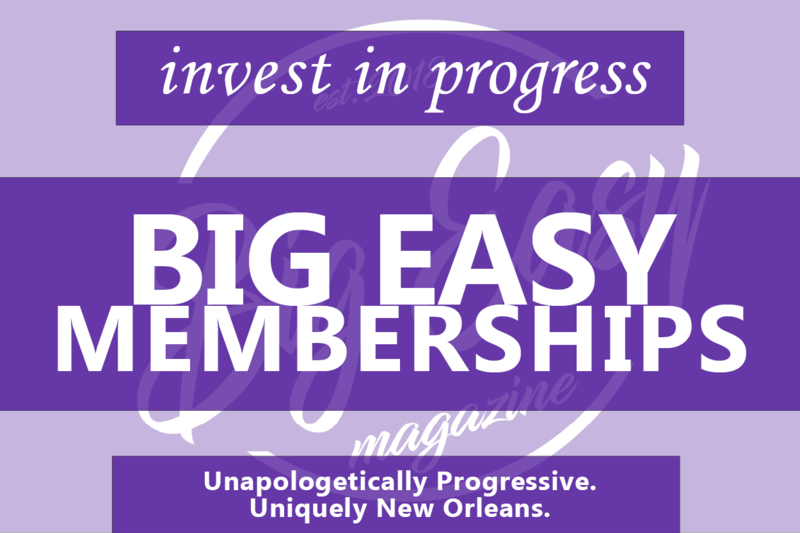 Barry Hirstius is a semi-retired journalist, who has worked as a sports editor and columnist and regularly appears on ESPN Radio New Orleans 100.3 FM “The Sports Hangover Show”. Barry is a New Orleans native who grew up as a fan of the Saints while attending games as a young boy at the old Tulane Stadium. He is the proud Grandfather of two beautiful young girls, Jasmine and Serenity.